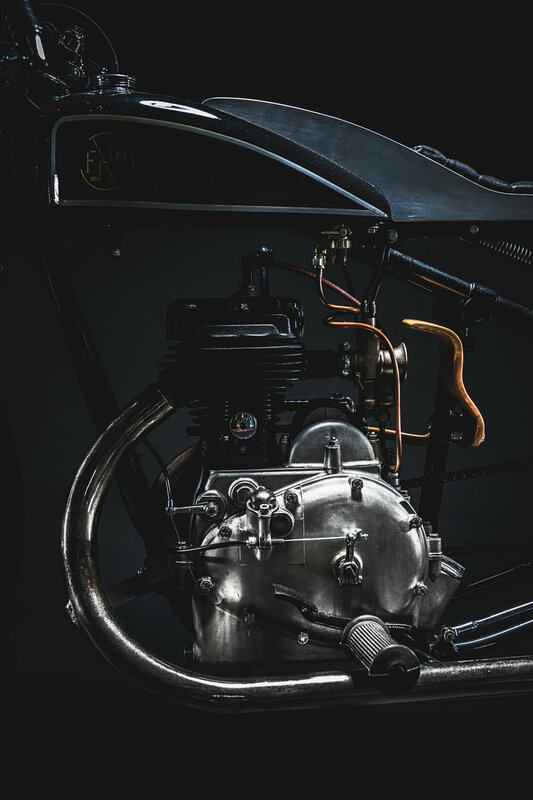 FN Type M70B—a 350cc single produced in 1929 by Fabrique Nationale d’Herstal. 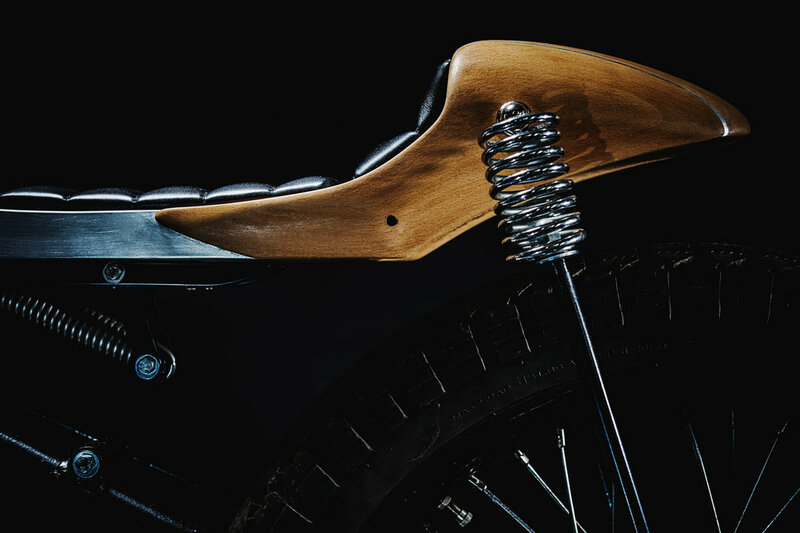 The M70B was first able to ride through the Sahara desert and also the one draw in the famous comics "TINTIN". 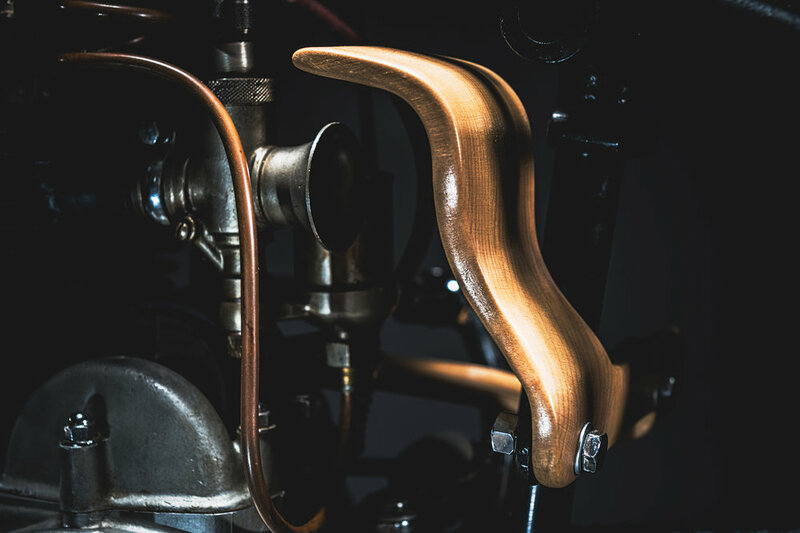 A piece of the motorcycle history. 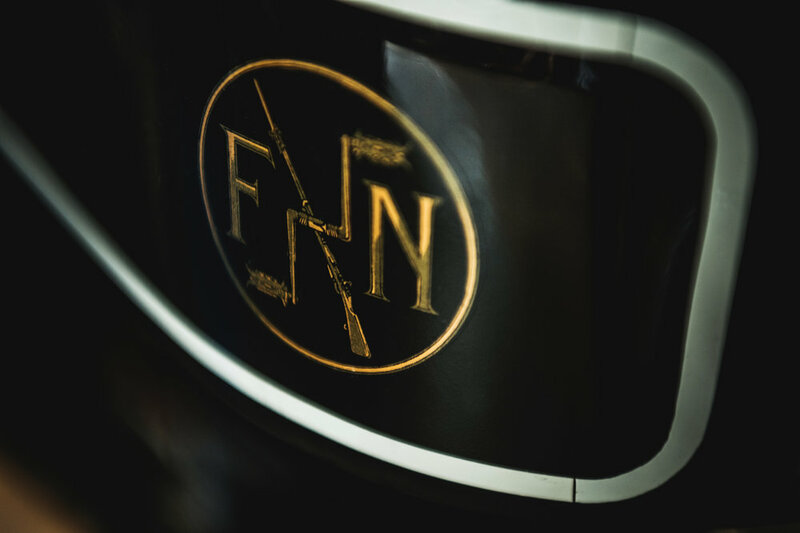 As a finishing touch, Woodman has etched into the black paint of the FN’s fishtail exhaust, earning it the nickname ‘The Smoking Black Fish.’ The hints of gold are from earlier repairs, made at some unknown point during the 87 years of the FN’s life. 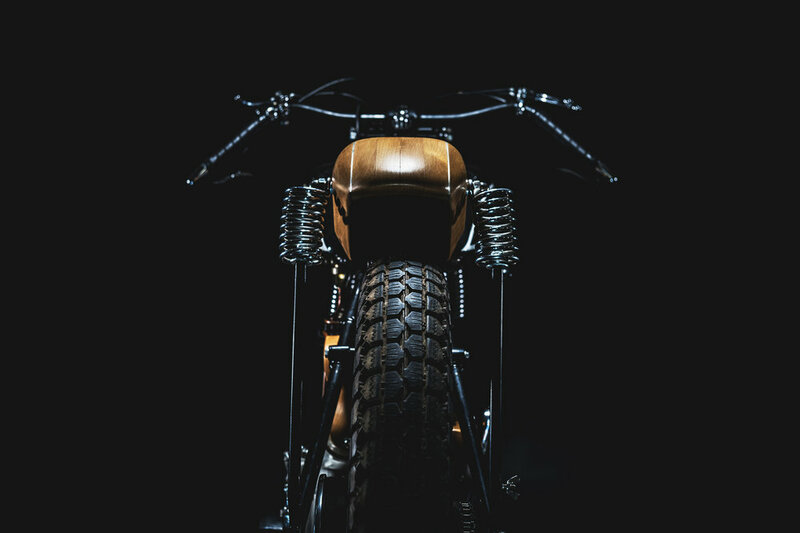 The bike is running but for sure it's more an art-work waiting for a lovely location.